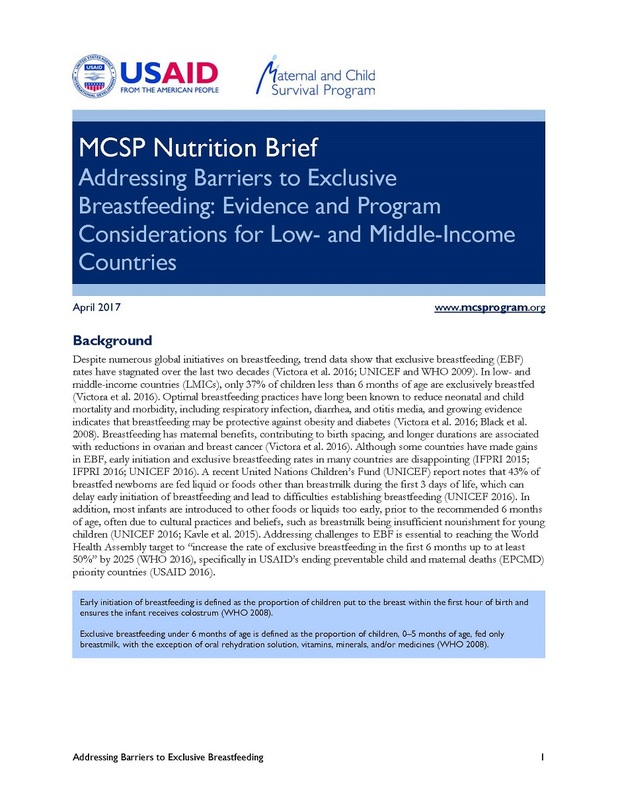 This nutrition brief summarizes findings from an MCSP-led review identifying key barriers that impede exclusive breastfeeding during the first six months of life. The brief presents Demographic and Health Survey analyses of three key breastfeeding problems and a compilation of country policies that address exclusive breastfeeding. 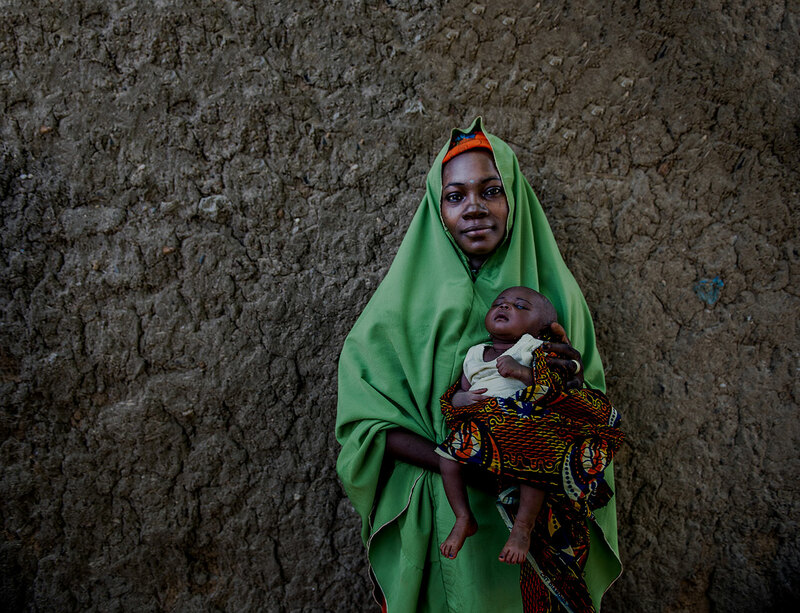 It also provides key considerations for implementers of infant and young child feeding programs and policies in low- and middle-income countries.